Photo: The Diana Go folder gluer offers both commercial and packaging printers a cost-effective, flexible, and productive entry-level machine with a small footprint. The FLEXCEL NX Ultra Solution offers a new dimension with respect to productivity and performance in flexo plate production for packaging printing. It's the first aqueous solution that provides consistent, high-performing flexo plates for high-volume, low-maintenance requirements. Kodak's revolutionary flexo solution will provide high-quality plates for all demonstrations to be given on W&H's new flexo presses at the Open House, and will be available for in-house plate production for customer jobs going forward. With its fast and eco-friendly flexo plate production, the FLEXCEL NX Ultra Solution helps to improve the position of the flexo process vis-à-vis other technology options in the packaging printing segment. The FLEXCEL NX Ultra Solution's ability to produce press-ready KODAK FLEXCEL NX Ultra plates in less than an hour will be demonstrated on both days of the Open House event with the aid of a special packaging motif featuring images of the day. "We're extremely pleased to have been given this opportunity to partner with W&H as they put the spotlight on the Future of Flexo. At Kodak we are constantly challenging ourselves to ask ‘What’s Next?’, and the new FLEXCEL NX Ultra Solution is a prime example of forward-thinking that has been many years in development. It enables printers to take advantage of our well-established industry-leading plate technology without the hassle of solvent processing, in a stable, simple-to-control and highly automated process," said Chris Payne, President Flexographic Packaging Division, Kodak. "A focus on controlled and efficient manufacturing processes that don’t compromise quality further strengthens the leading position of flexo printing in the packaging printing market." "Our guests to the Printing Technology Centre are given the full lowdown on the very latest developments in flexo printing. We see our extremely efficient and intelligently automated presses as part of the overall process. We work together with numerous partners to demonstrate the possibilities for an optimum overall process. Faster changeovers and shorter time-to-market are particularly important issues. With its FLEXCEL NX Ultra Solution, our partner Kodak offers prepress specialists an exceptional addition to their existing equipment. In-house plate production enables simpler and faster processes and helps shorten time-to-market," said Markus Bauschulte, Technical Sales Director Business Unit Printing and Finishing at W&H, explaining this partnership. From 12 – 14 March 2019, the international converting industry gathered for the 11th ICE Europe at the Munich Trade Fair Centre in Germany. This year, the World’s Leading Exhibition for the conversion of flexible, web-based materials, such as paper, film, foil and nonwovens, achieved higher numbers of exhibitors and visitors than ever before and also set a record for the exhibition space. A total of 7,150 visitors from 75 countries came to the Bavarian capital to discover machinery, systems, materials, and accessories; which is an increase of visitors by 4% compared to the previous event. A total of 463 exhibitors from 25 countries presented their latest technologies on a net exhibition space of 11,500 m2, setting records with an 8% increase in exhibitor numbers and a 4% increase in net exhibition space compared to the previous event. For the second time, the organisers honoured four exhibiting companies with the ICE Awards for their outstanding technological achievements. Roland DG Corporation, a leading supplier of digital print technologies with more than 35 years of manufacturing expertise, announced the availability of the TrueVIS VG2 Series Print & Cut Solution, the 16th generation of print & cut solutions. It includes new inks, an improved VersaWorks workflow and optional take-up and dryer units, resulting in a system that can be configured to meet the needs of small to mid-sized providers, or of larger providers looking to bring additional capacity. This includes commercial printers looking to enter the sign & display graphics business to generate new revenue streams, capture new customers, and increase the value of existing customers with a compact, easy-to-use and efficient system. -New TR2 inks featuring improved stretchability, washability for garment decoration, outstanding outdoor performance, and a brand-new Orange ink for an expanded color gamut with support for the Roland Orange Library and the Pantone color library. -TR2 inks certified to meet the requirements of 3M’s MCS warranty and Avery Dennison’s ICS warranty. 3M™ MCS™ and Avery Dennison™ ICS™ Warranty coverage currently applies to CMYKLkLcLm, White and Orange to follow. Users of 8c configuration can select 7c for full conformity. The inks are also GREENGUARD Gold certified for low chemical emissions, and feature exceptionally low ink consumption costs, including reduced ink consumption during maintenance. The use of media-specific profiles also reduces ink consumption. -TrueVIS TR2 inks ready to finish after a 4- to 6-hour outgassing period. -Includes VersaWorks 6 RIP software supporting the latest Harlequin® RIP dual core engine with PDF 2.0 and native 64-bit processing plus new, easy-to-use capabilities that make it the most powerful RIP software ever. -In-RIP selection with nozzles to use in case of printhead related issues. This allows production to continue until nozzle issues can be resolved, minimizing downtime. -A new pinch wheel design that improves print & cut accuracy, and optimized side pinch roller pressure that enables better registration. Center pinch wheels have an auto-raise functionality to avoid damaging printed graphics. Pinch rollers are also auto-raised when switching from printing to cutting, with no manual labor required. -A new Overcut function emulating the results of a tangential cutter, delivering sharp, clean corners on challenging media, minimizing waste and reducing weeding time. -Multiple crop mark function giving users increased flexibility in choice of layouts for improved accuracy or unattended production over longer periods of time. This includes single marks around page size, marks around horizontal groups, and marks around each object. -TUC-4 optional take-up controller that enables operators to select between two modes with a simple switch, making it easy to move from standard mode for media such as self-adhesive vinyl, to tension mode for media such as PVC Banner. -With ease of use, accuracy and reliability, the TrueVIS VG2 Series builds on the 64-bit native PDF platform of VersaWorks 6. It fully supports PDF 2.0, minimizing the need to request alternative file types from customers, and streamlines the production process. And operators can perform key operations remotely from the newly-designed Roland DG Mobile Panel App, available for both iOS and Android. Jujo Thermal is developing a totally new, environmentally friendly specialty paper, aimed at flexible and sustainable food packaging. The new product has superior barrier properties to protect the content and to maintain its quality. It is a viable alternative to food packages that presently use barrier films made of plastic or aluminium. Therefore, the new product will significantly help to reduce the use of plastics in packaging. Jujo Thermal´s new product is a significant step on a long journey aimed at decreasing the use of plastics. It provides an alternative to flexible food packages that presently use barrier films made of plastic or aluminium. The new product is made of paper-based material and it provides superior barrier properties against oxygen, water vapor, and flavour penetration. The product consists of wood-based fibres coated with a water-based barrier coating, and it is completely recyclable and biodegradable. The new specialty paper product is based on a technology innovation from Jujo Thermal´s parent company, the Nippon Paper Industries. Nippon Paper Industries launched the SHIELDPLUS® technology and the first product applications in 2017. Jujo Thermal will be Nippon Paper Group´s European production base for SHIELDPLUS®. “The SHIELDPLUS® is a revolutionary technological material for the packaging industry. I am confident that it can be the solution for brand owners, who seek to develop biodegradable packaging materials. As our group slogan “Let paper do what it can do” states, we believe that paper, as a material, has a vast capability. The ecological challenges caused by a tremendous amount of plastic waste are serious. We are committed to addressing this challenge and the growing market need for ecological packaging material by developing sustainable materials. This new product is only the beginning,” says Senior R&D Manager & Packaging Specialist Masashi Okamoto of Jujo Thermal Ltd. The new product marks an important milestone, not only because of its ecological nature, but also because it is a new product category for Jujo Thermal. “We have collaborated in the product development phase with the Paper Converting & Packaging Department of the University of Tampere. The collaboration has provided us with the possibility to develop and learn together. We have gained an in-depth understanding of the new product´s capabilities and we will utilize this know-how when training our personnel,” says Mika Anttila, R&D Director of Jujo Thermal Ltd. The new product concept is currently in the market validation stage. Jujo Thermal is confident that it will provide its customers with an innovative and responsible platform to further develop their own products to be more competitive and yet ecological. Sappi North America, Inc., a leading producer and supplier of diversified paper, packaging products and dissolving wood pulp, announced that its Proto® and SpectroTM paperboard products are available globally for commercial orders in all calipers. "It's difficult to find products with high-quality print capabilities and consistency, but Sappi's new line of products have helped grow our folding boxboard and high-end application services," said Ron Moore, President, Cutting Edge Paper Ltd. "We strive to provide our customers with the best products for their packaging needs, and Proto and Spectro are setting the new standard for the paperboard market." Announced at the end of 2018, Proto and Spectro offer enhanced optics with high impact and lightweight feel. The products are produced at Sappi's Somerset Mill in Maine, which recently invested over $200 million to rebuild its Paper Machine 1 and woodyard. Both products are now available for commercial orders and samples, which can be requested online here: www.sappisamples.com. Spectro C1S is a single-ply SBS for high-quality packaging and graphic applications in the consumer and lifestyle markets, similar to Proto. Whether using UV, aqueous, or specialty coatings, hot foil stamping, embossing, special effects, or varnishes, this line brings a substantial feel at a lighter weight with enhanced optics for everyday products looking to stand out on the shelves. "We're excited with the qualification, success, and acceptance of our paperboard products with our customers," said Deece Hannigan, Vice President, Packaging and Specialties Business, Sappi North America. "We've worked hard to create products that meet the needs of converters and end-use customers." The Mayr-Melnhof Group was able to conclude the year 2018 with a further profit increase in succession. A strong development in the first three quarters contrasted with a noticeable market- and production-related decrease in volumes in the final quarter, which reduced the lead over the previous year. The company nevertheless succeeded in maintaining capacity utilization and volumes at a high level on a whole year perspective. The cartonboard division was the main driver of profit growth, in particular as a result of improved average prices. In contrast, a sharp rise in input costs, in particular for cartonboard, put pressure on the margin, as this increase could only be passed on with delay. In line with the sound profit development, a recommendation will be made to the 25th Ordinary Shareholders’ Meeting on April 24, 2019, to increase the dividend for the financial year 2018 to EUR 3.20 per share (2017: EUR 3.10). With the acquisition of the Tann-Group, which was successfully closed on January 15, 2019, MM Packaging took an important growth step. The aim is to expand value added and strengthen the profitability of MM Packaging as well as to achieve further growth. Consolidated sales of the Group totaled EUR 2,337.7 million and thus were at previous year's level (2017: EUR 2,336.8 million). A price-related increase in sales at the cartonboard division contrasts with a slight decrease at the packaging division. At EUR 217.1 million, an operating profit above the previous year's level was achieved (2017: EUR 215.0 million). The Group’s operating margin reached 9.3 % (2017: 9.2 %), the return on capital employed 15.5 % (2017: 15.1 %). Financial income of EUR 1.3 million (2017: EUR 2.0 million) contrasted with financial expenses of EUR -6.1 million (2017: EUR -6.2 million). “Other financial result − net” went up to EUR 5.6 million (2017: EUR -5.3 million), in particular as a result of foreign currency gains, after one-time expenses due to accumulated currency translations of EUR 2.6 million had been reported in the previous year following the deconsolidation of subsidiaries. Profit before tax increased by 6.0 % to EUR 217.9 million (2017: EUR 205.5 million). Income tax expenses totaled EUR 53.7 million (2017: EUR 50.5 million), with the effective Group tax rate for 2018 remaining constant at 24.7 % (2017: 24.6 %). Profit for the year rose by 5.9 % to EUR 164.2 million (2017: EUR 155.0 million). As of December 31, 2018, the Group's total assets amounted to EUR 2,065.7 million and were thus EUR 52.3 million higher than the respective figure at the end of 2017 (December 31, 2017: EUR 2,013.4 million). The Group's total equity rose from EUR 1,318.6 million to EUR 1,384.8 million, mainly as a result of profit. Total equity to total assets was therefore at 67.0 % (December 31, 2017: 65.5 %), return on equity at 12.1 % (December 31, 2017: 12.0 %). Financial liabilities at EUR 211.7 million (December 31, 2017: EUR 212.5 million) remained almost unchanged and are primarily of a long-term character. Provisions for non-current liabilities and charges related to accruals for employee benefits decreased to EUR 115.9 million (December 31, 2017: EUR 121.4 million). Total funds available went up to EUR 261.1 million (December 31, 2017: EUR 200.7 million), resulting in the Group reporting a net liquidity of EUR 49.4 million (December 31, 2017: net debt of EUR 11.8 million) at the end of 2018. Since the beginning of 2019, demand for cartonboard packaging has once again normalized following the weakening in the fourth quarter of last year, though without any noticeable momentum. Against this background, the plants are reporting overall good capacity utilization, however competition in the markets remains very intense. The price increase for virgin fiber-based cartonboard announced by MM Karton as a result of higher prices for pulp and groundwood pulp took effect at the beginning of the year. In contrast, a continuous pricing policy is pursued for recycled fiber-based cartonboard due to stable recovered paper markets. The focus at MM Packaging remains on passing on increases in input factors promptly. The aim of both divisions in 2019 is to continue to grow with the market as well as through displacement and to maintain the profit quality at a high level. Therefore, the focus on products with high value added and productivity gains in manufacture will be pursued consistently. In 2019, the largest contribution to growth will result from the acquisition of the Tann-Group, which will be integrated into the Group following the successful closing in the first quarter of 2019. We will continue our investment activities on a long-term scale focusing on growth and cost reduction through the use of state-of-the-art technology. After another record result was achieved in 2018, our goal is to make 2019 another year of success. High attention will also be paid to the continuation of our acquisition course. After a solid development during the first quarters, demand for cartonboard packaging showed a noticeable weakening in the fourth quarter, especially due to a reduction in stocks along the supply chain. 6.3 % (4th quarter 2017: 7.3 %). MM Packaging reached an operating margin of 8.4 % (4th quarter 2017: 10.5 %). Consolidated sales at EUR 574.6 million were around 2.2 % lower than in the previous year’s period (4th quarter 2017: EUR 587.7 million). While MM Karton was able to keep up sales due to better prices, MM Packaging faced a reduction. The Group's operating profit totaled EUR 44.8 million (4th quarter 2017: EUR 56.1 million), resulting in an operating margin of 7.8 % (4th quarter 2017: 9.5 %). Profit before tax was at EUR 48.9 million after EUR 53.6 million in the last quarter of 2017. Profit for the period amounted to EUR 37.8 million (4th quarter 2017: EUR 41.7 million). Good demand characterized development on the European cartonboard markets in the first three quarters of 2018. However, this was followed by a noticeable weakening in the final quarter due to seasonal factors and the filled supply chain. On procurement markets, a fall in prices for mixed recovered paper qualities due to reduced exports from Europe to Asia, contrasted with a sharp price increase for virgin fiber-based products, with the need to adjust prices for virgin fiber-based cartonboard. MM Karton was able to maintain its position very well in 2018 through better prices, a sound volume development, and an optimized product portfolio and concluded the year with a significant increase in profit compared to the previous year. We continued to implement our proven strategy of a disciplined price policy while maintaining market shares. The average order backlog totaled 77,000 tons and was thus below the previous year's level (2017: 85,000 tons). At 97 %, capacities in the division were however still well utilized (2017: 98 %). Cartonboard production, at 1,664,000 tons, was 1.2 % below the previous year (2017: 1,685,000 tons). 1,313,000 tons (79 %) thereof were attributable to recycled fiber-based cartonboard and 351,000 tons (21 %) to virgin fiber-based cartonboard (2017: 1,345,000 tons or 80 % and 340,000 tons or 20 %, respectively). Cartonboard sold developed in line with production, totaling 1,663,000 tons (2017: 1,675,000 tons). Sales increased, driven by prices, from EUR 1,048.7 million to EUR 1,062.2 million. With a share of around 63 % in Western Europe (2017: 62 %) and 21 % in Eastern Europe (2017: 21 %), slightly more was sold on the European markets, thus the sales share in countries outside Europe decreased to 16 % (2017: 17 %). Operating profit increased significantly by 31.2 % or EUR 22.9 million to EUR 96.4 million compared with the previous year (2017: EUR 73.5 million) owing to better average prices and lower direct costs. The operating margin amounted to 9.1 % after 7.0 % in 2017. European packaging demand for consumer goods was high from the beginning of 2018 and showed just in the fourth quarter a noticeable weakening as a result of a successive reduction in stocks along the supply chain. Competitive intensity remained very high, as capacities in the industry continued to be sufficient. Against this background, it was largely possible to maintain plant capacity utilization at a high level. At the same time, however, the margin was under pressure due to previous cartonboard price increases and further cost rises, especially for transport and logistics, since corresponding price increases are difficult to be realized in the market or are only possible with delay. While the efficiency gains achieved in the course of rationalization programs were able to alleviate the pressure on the result, they could not fully compensate these developments. The strategic focus of maintaining strength and exploiting growth opportunities in individual markets such as FMCG (fast-moving consumer goods), cigarette packaging, pharmaceuticals as well as personal care with dedicated locations on the basis of maximum cost efficiency and quality was pursued consistently and implemented in the course of the investment program. High priority was attributed to automation and digitalization projects. Tonnage processed, at 766,000 tons, was close to the previous year's figure (2017: 767,000 tons). The sheet equivalent developed largely in parallel to this, with 2,270.7 million sheets in 2018 after 2,289.9 million sheets in the previous year. At EUR 1,384.2 million, sales developed steadily compared to the previous year (2017: EUR 1,392.7 million). The geographical distribution of sales was also characterized by continuity, with 57 % and 32 % accounted for by Western and Eastern Europe, respectively, and 11 % by business outside Europe (2017: 58 %; 30 %; 12 %). The decrease in operating profit by 14.7 % to EUR 120.7 million (2017: EUR 141.5 million) resulted primarily from the significant increase in direct costs. The operating margin accordingly amounted to 8.7 % (2017: 10.2 %). Paper Excellence Canada (PEC) has finalized the acquisition of Catalyst Paper Corporation. This includes its three facilities located in Crofton, Port Alberni and Powell River, its Surrey distribution centre and headquarters in Richmond, B.C. Machinery manufacturer W&H is significantly enhancing its local presence in Asia-Pacific: With the beginning of 2019 W&H has opened fully owned subsidiaries with local service and support teams in Jakarta, Indonesia, Kuala Lumpur, Malaysia and soon in Ho Chi Minh, Vietnam. Customers in Korea and the Philippines will be supported by branch offices managed by W&H. The specialist for machines for flexible packaging has been present in the Asian-Pacific Market for more than 40 years. For decades W&H has built up its own sales and service business in Asia Pacific. Today the WHAP team consists of more than 130 people, among them more than 65 service technicians who support with technical solutions, maintenance and spare part services. Following a worldwide trend, Klabin has become South America’s first papermaker to integrate its ERP (Enterprise Resource Planning) system to the Voith Paper Webshop digital platform and place an order via OCI (Open Catalog Interface). "The arrival of the cylinder represents an important step towards our new paper machine," says Dr. Stefan Karrer, technical director of the Koehler Paper Group. The 200-ton steel cylinder forms the heart of the new paper machine that Koehler is currently building at its Kehl site on the Rhine. With a diameter of 7.31 meters, it is the world's largest smoothing cylinder of its kind. For MSG, these are two handy cranes that don't require major effort to set up. Nevertheless, MSG alone had nine employees on site and another three from the transport company Gutmann. It was also the Gutmann employees who brought the cylinder the short distance from the port to Koehler's factory premises. When the cylinder is used at the end of April, 60 trucks will be required to deliver the crane components. The shell of the workshop will once again be opened up. Since the 1990s it has been known that the presence of hexenuronic acid (HexA) in unbleached hardwood pulp increases the consumption of bleaching chemicals leading to higher production costs and product quality variability as well as worsening environmental performance. Part of the product variability can be explained by the fact that HexA also consumes potassium permanganate in the Kappa number analysis which leads to an erroneous lignin content signal to automatic controls. Valmet has development new and unique online method for the measurement of HexA, now available as an additional module working alongside the Kappa, brightness and fiber& shive properties measurements in the Valmet Kappa QC analyzer. Cooking conditions influence HexA formation and modern continuous cooking concepts, utilizing lower temperatures to improve efficiency and yield, increase the HexA content in the pulp. HexA and residual lignin react differently with commonly applied bleaching chemicals and highlight the complex chemistry of cooking and bleaching of hardwood kraft pulps. HexA can be removed from the pulp by a mild acid hydrolysis, leading to two basic approaches to the problem. One is to use a hot A (acidification) stage prior to bleaching or second approach combining the hot A-stage with the D0-stage in a single hot D0-(Dhot) stage. Both benefit from the simultaneous online measurement of Kappa and HexA by the Valmet Kappa QC analyzer. This new feature has installed already several Kappa QC analyzers in South-America and Finland. Valmet Kappa QC analyzer can be calibrated against the mill HexA laboratory method with excellent correlation. Calibration and follow up samples can be obtained from the analyzer’s automatic laboratory sampling collection, which enables fast and accurate calibration with laboratory analyzed pulp the same as analyzer measured pulp. The Kappa and HexA results from the Valmet Kappa QC analyzer open a new window to follow up O2- and A stage process responses. It is possible to see the Kappa number and the HexA amount both before and after the O2 stage as well as after the subsequent A stage. Balancing the bleachability and brightness stability of the pulp with yield and required papermaking properties is made much easier with the better understanding of the lignin and HexA reduction relationship in the process. Whether mills utilize a separate A-stage as above or the Dhot stage approach, the new measurement offers the opportunity to further optimize cooking conditions and chemical consumption. 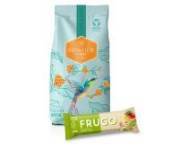 Papernet Freshen Tech, a Sofidel Group product, received on March 12 the 2019 PPI (Pulp & Paper International) Award in the Tissue Innovation category at the awards ceremony in Vienna. Ahlstrom-Munksjö’s North America Specialty Solutions Coated Products team announced an extension to their brand of release liners used in the manufacture of Advanced Composites. In collaboration with our suppliers and customers, the product was designed with specific properties and performance characteristics to meet the challenges encountered with low tack prepregs and demanding ATL processes. This new line of products represents years of development and experience addressing the constant evolution of products used for the aerospace composite segment. In recent years, the demand for newsprint has continued to decline, but the Company is striving to ensure stable supply and quality of newsprint while implementing various cost-cutting measures. Under the Sixth Medium-Term Business Plan (FY2018 to FY2020), the Company will further consolidate production facilities to reduce fixed costs by shutting down the No. 8 paper production machine at the Kushiro Mill and the No. 6 paper production machine at the Hokkaido Mill (Yufutsu). However, the business environment of newsprint is increasingly severe. In addition to rising prices of waste paper and other raw materials and fuels, the rise in logistics costs has become unavoidable. Therefore, it will be extreme difficult to reproduce if the situation continues beyond the limits of our independent efforts to reduce costs. To secure business continuity and stable supply, the Company decided the revision of the product prices. Valmet will supply OptiConcept M containerboard making line (photo) with automation solutions and a winder for GS Paperboard & Packaging (GSPP) Sdn., Bhd. in Selangor, Malaysia. With the new production line PM 3, GSPP will produce high-quality testliner and fluting grades as well as strengthen its position in the Malaysian market. The start-up of PM 3 is scheduled for 2021. The European Tissue Symposium, ETS, will take part in Tissue World Milan, at Fieramilanocity Milan from 25-27 March. In addition to its presence at Stand G804, ETS will also speak at the Senior Management Symposium. 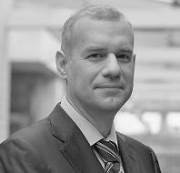 ETS chairman Fanis Papakostas will present during the session Sustainability – Walk the Walk, Talk the Talk. His presentation – Hand drying is a serious business – will take place from 14:35-15:00 on Monday 25 March. Delegates will learn about ETS’s activities and future plans, and there will be a special focus on the findings of the latest scientific studiesundertaken by leading microbiologists and published in scientific journals. The presentation showcases two studies: a single site pilot study which showed that microbial contamination levels in hospital washrooms are associated with hand drying methods; and the findings of a new, real life multi-site study undertaken in hospital washrooms in France, Italy, and the UK. In all three countries, bacterial contamination was significantly higher in washrooms with jet air dryers than in washrooms equipped with paper hand towels dispensers. The world’s largest trade fair specifically dedicated to the tissue business, Tissue World is a truly global event attracting over 3000 visitors with tissue makers, converters and suppliers from 100 countries around the world. Established for over 20 years, it features the very latest innovations and technological advancements in tissue manufacturing, and offers an excellent opportunity for networking with industry decision makers. With the theme: Smart and Sustainable – Strategies to Stay Sharp as a New Decade Dawns, this year’s 3-day conference explores the sustainable future of the tissue industry, including key drivers and areas of growth. ETS welcomes this focus on sustainability, and Mr Papakostas’ presentation will also touch on some of the Symposium’s key initiatives in this area. Gulf Print & Pack 2019 returns to World Trade Centre in Dubai from 15-18 April. The show boasts a growing number of first-time exhibitors, alongside a growing number of companies from the Indian sub-continent making their show debut. Returning exhibitors will be showcasing their machinery to potential buyers at a series of live demonstrations taking place throughout the four days of the show as part of a newly introduced “Innovation Trail” feature. Gulf Print & Pack 2019 is the only platform that brings all these manufacturers together under the one roof in the region. Roland DG Corporation, a leading manufacturer of wide-format inkjet printers and printer/cutters worldwide, announced the launch of the VersaUV LEF2-200 20” benchtop UV flatbed printer. “The VersaUV LEF2-200 makes it very simple to print premium-quality photographs, graphics and text on almost anything,” said Kohei Tanabe, President of Roland DG’s Digital Printing Business Division. Its ECO-UV ink cures instantly on the surface of the material, so that it’s possible to print directly onto PVC and plastics, canvas, wood, leather, fabric, etc. Plus, alongside full colour printing, you can also produce premium gloss and matt finishes as well as simulated 3D embossing for amazingly life-like textures with multiple layers of Clear ink. Capable of printing on corners and curves as well as soft materials such as leather and fabric. Simply put, the advanced Roland ECO-UV ink formulations are designed for both flexibility and beautiful imaging. According to Tanabe, the new LEF2-200 incorporates a host of advanced functions to simplify high quality printing. A Start Timer Function completes the setup procedures of printhead cleaning and white ink circulation automatically by your designated start time – even getting it ready for when you arrive at the office or workshop. A positioning jig makes it easy to align items on the print table. Plus, the VersaUV LEF2-200 includes the latest VersaWorks 6 RIP software, featuring an intuitive interface for easy operation and job management. The LEF2-200 also adopts a new cleaning system to increase reliability. Plus, a Head Refresh Feature removes any ink remaining on the printheads and cleans the printhead surface to maintain the health of the printer. An airtight cover protects operators from UV light and prevents dust from settling onto the surface of materials while printing. "With the LEF2-200, now anyone can print stunningly realistic and colourful images onto many different materials that you might not think possible,” Tanabe said. "To be able to offer this print capability even to people who are inexperienced in using this technology, we focused on ease of operation and the highest levels of reliability so that everyone can enjoy printing graphics and textures with confidence. In summary, this LEF2-200 adds incredible value and opportunity for business growth." Picture: Klaus Sauer, Managing Director of SAXOPRINT, is very satisfied with the CutStar for the Speedmaster XL 162. This means that for the first time, the full flexibility to use sheets or roll-fed stock is available in 7B format. The latest installation in the press room comes in at an impressive fifty meters: a Speedmaster XL 162 eight-color perfecting press with the world’s first CutStar roll sheeter in this format on a machine of Heidelberger Druckmaschinen AG (Heidelberg). CutStar in other formats, such as 50 x 70 or 70 x 100, has been available from Heidelberg for many years. This means that the full flexibility to use sheets or roll-fed stock is now available in 7B format. More than anything, this significantly reduces the makeready times. 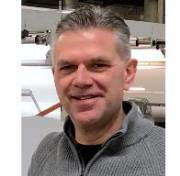 This means that SAXOPRINT now has eight printing presses with a total of 36 printing units from Heidelberg: five large-format Speedmaster XL 162 presses, one Speedmaster XL 145, and two Speedmaster XL 106 presses, both of which are equipped with the CutStar roll sheeter. “We saw the benefits and so entered into negotiations with Heidelberg at drupa 2016 to include CutStar in the next large-format press,” recalls Sauer. Verso Corporation (NYSE: VRS) reported financial results for the fourth quarter and full year of 2018. -Net sales up $56 million, or 9%, from fourth quarter 2017. -Net income of $86 million, up 139% from fourth quarter 2017; $2.44 per diluted share; $22 million special item. -Adjusted EBITDA of $96 million, up 48% versus fourth quarter 2017. -No debt outstanding, $26 million of cash and cash equivalents at December 31, 2018. 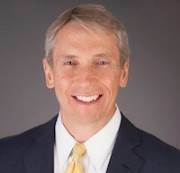 "Considerable sales growth, materially enhanced profitability and $211 million in debt reduction marked 2018 as a fantastic, banner year in Verso's history," said Verso Chief Executive Officer B. Christopher DiSantis (photo). "With stronger pricing, effective mix management, and new Specialty and Packaging products as underlying drivers, we continue to explore every available opportunity to capitalize on our strengthened balance sheet, build a more diversified, sustainable business, and create value for our stockholders." -Net sales in the fourth quarter of 2018 increased by $56 million or 9% compared to the prior year. This growth in sales is primarily attributable to higher specialty paper and pulp sales volume, an increase in packaging paper volume from the restart of previously shuttered No. 3 paper machine at our Androscoggin Mill, increased price across all product lines and favorable product mix, partially offset by general softening of demand for coated papers. -Operating income was $63 million in the fourth quarter of 2018, an increase of $40 million compared to the fourth quarter of 2017. This increase in operating income is primarily attributable to favorable average net selling price and product mix, lower SG&A expense and lower restructuring charges, partially offset by decreased total sales volume, higher raw material costs and higher planned major maintenance costs, primarily because of timing related to major maintenance outages. -SG&A expense in the fourth quarter of 2018 decreased $2 million compared to the same period in 2017, primarily attributable to lower costs associated with our strategic alternatives initiative. -Restructuring charges in the fourth quarter of 2018 decreased $2 million compared to the same period in 2017, primarily attributable to the closure and relocation of the Memphis office headquarters and closure of our Wickliffe Mill in 2017. -Interest expense in the fourth quarter of 2018 decreased $8 million over the same period in 2017, driven by the reduction in amounts outstanding under our revolving credit facility and the payoff of our term loan on September 10, 2018. -Other (income) expense in the fourth quarter of 2018 includes $22 million of income related to a countervailing duty Settlement Agreement with certain Canadian producers of supercalendered paper. Additionally, the fourth quarter of 2018 and 2017 include income of $3 million and $7 million, respectively, associated with the non-operating components of net periodic pension cost (income) in connection with the adoption of a new accounting standard in the first quarter of 2018. Other (income) expense in the fourth quarter of 2017 also includes $7 million of income related to the extinguishment of our obligation in December 2017 in connection with the unwind of a New Market Tax Credit transaction. -Net sales in the twelve months ended December 31, 2018 increased by $221 million or 9% compared to the prior year. This increase in sales is primarily attributable to higher specialty paper sales volume, increased price across all product lines and favorable product mix, partially offset by lower volume in graphic paper and external pulp sales. Total volume was down by 32 thousand tons driven by general softening of demand for coated papers, and a reduction in external pulp sales due to internal pulp needs, partially offset by an increase in packaging paper volume from the restart of previously shuttered No. 3 paper machine at our Androscoggin Mill. -Operating income was $152 million in the twelve months ended December 31, 2018, an increase of $173 million when compared to an operating loss of $21 million in the prior year. This increase in operating income is primarily attributable to favorable average net selling price and product mix, decreased downtime and lower depreciation, SG&A and restructuring expenses. These increases were partially offset by higher raw material costs across all categories including chemicals, energy, wood fiber, and purchased pulp, higher freight costs, and higher planned major maintenance costs, primarily because of bi-annual major maintenance expenses at our Quinnesec Mill and a significant outage at our Wisconsin Rapids Mill. -Depreciation and amortization expenses in the twelve months ended December 31, 2018 were lower than the twelve months ended December 31, 2017, attributable to capacity reductions at our Androscoggin Mill, in which $6 million of accelerated depreciation was recognized in the first quarter of 2017 in connection with the temporary idling of the No. 3 paper machine. -SG&A expense in the twelve months ended December 31, 2018 decreased $5 million compared to 2017, primarily attributable to cost reduction initiatives implemented across the Company, partially offset by higher costs associated with our strategic alternatives initiative and non-cash equity award expense. -Restructuring charges in the twelve months ended December 31, 2018 decreased $8 million compared to 2017, primarily attributable to the closure and relocation of the Memphis office headquarters and closure of our Wickliffe Mill in 2017. -Other operating (income) expense in the twelve months ended December 31, 2018 includes a $9 million gain on the sale of our Wickliffe Mill, partially offset by fees associated with our prior Chapter 11 Cases. -Interest expense in the twelve months ended December 31, 2018 decreased $5 million over 2017, driven by the reduction in amounts outstanding under our revolving credit facility and the payoff of our term loan on September 10, 2018, partially offset by non-cash interest expense from the accelerated amortization of debt issuance cost and discount resulting from the voluntary principal prepayments and excess cash flow payments on the term loan. -Other (income) expense in the twelve months ended December 31, 2018 includes $42 million of income related to the Settlement Agreement. Additionally, the twelve months ended December 31, 2018 and 2017 include income of $12 million and $14 million, respectively, associated with the non-operating components of net periodic pension cost (income) in connection with the adoption of a new accounting standard in the first quarter of 2018. Other (income) expense in the twelve months ended December 31, 2017 also includes $7 million of income related to the extinguishment of our obligation in December 2017 in connection with the unwind of a New Market Tax Credit ("NMTC") transaction. The production volume specified in the application of renewable hydrocarbon at Östrand’s refinery is more than the aviation fuel used for domestic flights within Sweden. The project’s climate benefit is calculated to be a net greenhouse gas reduction of approximately 1,200,000 CO2 equivalents per year. Thomas McDonough (photo) joined the Case Paper team in February 2019 as the first General Manager of the company’s Philadelphia division who is not a Philadelphia sports fanatic. On its 304sqm, B4 K31 stand at Messe Munich, from May 14 to 17, Ricoh will present solutions designed to support print production environments that want to enhance or expand the services they offer. Among the systems designed to meet an increased need to deliver broader job capabilities, as well as faster short run production and elevated productivity, is the Ricoh Pro™ L5160 latex roll-to-roll large format printer (photo). Available from April 2019 in Europe, it delivers increased productivity and performance compared to its predecessor, aligned with reduced maintenance requirements and outstanding quality. For those intending to move into garment decoration, there is the easy to use Ri 100 Direct to Garment printer. For higher production demands, there will be the Ri 6000 Direct to Garment solution. Both enable print providers to deliver flexible, cost-effective digitally printed offerings including T-shirts, cloth bags, hoodies, sweatshirts and socks. For creative and versatile print, the five colour Ricoh Pro™ C7200x colour sheet fed press will be running inspiring fifth colour applications on a range of media. In the solutions hub the latest in intuitive software capabilities will demonstrate how consistently accurate and high quality production can be achieved from one single workflow platform. The ColorGATE production server will be present, following the December 2018 acquisition of the company. Joining these will be a new large format flatbed system. There will also be some exciting DTG, ink and printhead technology news. Further information will be communicated soon. 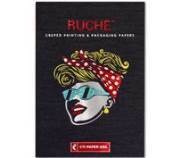 The entire inkjet portfolio is underpinned by core Ricoh technologies in both printheads and inks. Ricoh’s team of experts will be on hand to assist the adoption of these technologies within the OEM community looking to take advantage of the latest innovations for a diverse range of applications in sectors including Sign & Display, textile and décor. Throughout the show, visitors can meet with Ricoh specialists to discuss how they can broaden their production horizons and introduce new revenue earning opportunities. "The 26 service technicians in our Information and Diagnostic Center are reachable day and night via our Service Hotline," explains Christian Brönstrup, head of the IDC. A customer can speak directly to an engineer with expertise in his specific machine type via the hotline: "If a customer has a question or a problem, we want to provide him with the best and fastest possible support," says Brönstrup. All IDC engineers have at least five years of experience as field service technicians along with in-depth machine know-how. Around-the-clock availability of the IDC team is guaranteed by the "follow-the-sun" principle: Depending on local time, the customer reach engineers in Germany, India or the USA. Remote Service enables comprehensive troubleshooting and analysis. For almost 10 years, W&H service technicians from IDC have been able to connect to a W&H machine at the other end of the world via Internet using a remote function. With just a few clicks and operator approval, they can look into a customer’s machine, right down to the control and drive level, identify and correct issues quickly. "With our comprehensive first-level support and especially via the remote function, we solve over 80 percent of machine problems directly, without the need for a service technician to be on site at the customer", says Brönstrup. "Therefore, successful Remote Service saves both time and money ". When purchasing a new machine, the Remote Service is free of charge during the warranty period. However, the service can also be continued with a service contract. The history of the Information and Diagnostic Center began in 1994 with the service hotline. In the following years, machines were equipped with modems to which service technicians could connect and connect remotely to the customer’s machinery. The next development is already underway: remote diagnosis will be supported with live image transmission and the use of data glasses. Photo: Lina Li and Jarmo Ropponen are shaking hands after signing the contract. 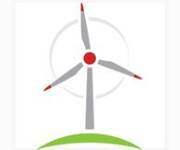 Colbert Packaging Corporation, a premier provider of paperboard packaging solutions, announces its commitment to environmental stewardship through the purchase of renewable energy credits (RECs) in the form of wind energy. This initiative complements Colbert’s overall sustainable strategy and commitment to reducing the environmental impact of its operations. The investment allows Colbert to lower its carbon footprint and protect the environment, and supports the development of renewable energy technologies. Colbert made this investment in renewable wind energy by purchasing Green-e® Energy certified renewable energy certificates (RECs) to reduce the emissions associated with its electricity consumption. That’s an environmental impact equivalent to the avoidance of 17,640 barrels of oil. A REC represents the environmental benefits associated with one megawatt-hour of energy generated from renewable resources. Nippon Paper Industries Co., Ltd. (President: Fumio Manoshiro; headquartered in Chiyoda-ku, Tokyo; hereinafter "Nippon Paper Industries") announces the construction of a new facility for the functional cellulose product carboxymethyl cellulose (CMC, product name: "SUNROSE®") at the Gotsu Mill (Gotsu City, Shimane Prefecture). Nippon Paper Industries will invest approximately 4.7 billion yen into this facility, which is planned to be completed in November 2020. Upon this construction, Nippon Paper Industries will re-establish a CMC production system and work toward a shift to high-value-added and high-quality fields such as special brands for food and lithium ion batteries developed with its unique technologies. -a saving of 404.50 kg of CO2, the gas that is one of the main culprits of climate change.